WordPress is one of the most popular blogging web sites currently available and many local businesses have taken advantage of its easy navigational tools, widgets, and applications to help build their web sites, strengthen their brand’s online presence, and increase revenue. However, WordPress isn’t completely infallible and a lot of SEO mistakes are made due to human error and underestimating the power of web site optimization. As a result, it’s important to learn how WordPress actually works so you can take full advantage of its features. 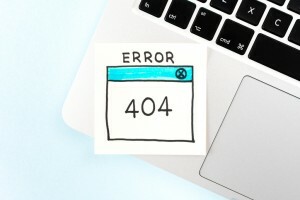 Here are 7 WordPress SEO mistakes you should avoid at all costs. Choosing the right type of platform—either www.wordpress.com or www.wordpress.org—is essential to creating an optimized web site because this is what makes your site stand out from others and it makes it easier for end users to come into contact with your business. Do your research and learn which platform is most beneficial for your online business. When you first sign up for WordPress, you’ll be assigned a default permalink, which will be something like this: http://example.com/?p=123. Because these are so common and many people simply neglect changing them, Google automatically indexes these URLs and this can significantly diminish your rankings in search inquiries. The best practice is to go into your permalink settings and change it to the name of the post so so that each post is fully optimized. Always take advantage of all WordPress updates because this will increase security levels on your web site and prevent hackers from accessing your sensitive information or gaining control of your site. A major rule of thumb for professional web sites is to keep the categories to a minimum because, oftentimes, an overabundance of content categories and tags leads to sensory overload and causes people to leave your web site sooner. You want to keep people engaged, but you also have to take their attention spans into account. Nowadays, most shoppers and online browsers use multiple devices for their endeavours. Mobile phones are becoming increasingly popular as online shopping tools and far too many WordPress web sites are losing out on potential sales because they’re not fully optimized for mobile users. Another avoidable problem is losing potential customers because your page takes too long to load. This happens when images aren’t properly optimized, scripts are outdated, and if you haven’t downloaded a good enough cache plug-in to handle larger volumes of visitors. Customers aren’t patient enough to deal with web site crashes and if this happens often enough or for long periods of time, they’ll easily get frustrated and leave. To make your web site successful, you need to keep it running quickly and smoothly at all times. One of the worst things you can do is linking your e-mail as a form of contact on your web site because this will lead to lots of spam in your inbox. A better idea is to have a customer service contact form on your site that allows you to moderate comments and respond to all inquiries and concerns. 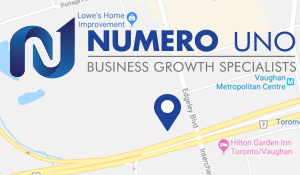 Numero Uno Web Solutions provides content audits and professional search engine optimization (SEO) solutions to small businesses and startup companies from a large variety of industries and fields. Businesses in Toronto, Richmond Hill, and Vaughan have all benefitted from our comprehensive services. We have even extended our services to regions in the United States such as Texas, Massachusetts, and Florida. To learn more about our SEO services, please call us at 1-855-SEO-XPRT.